When we released Backer Build One, players took control of the New Jericho faction. The main reason for this was that New Jericho models were the most developed at that time. With work underway on the major content update for Backer Build Three, the character team are hard at work getting the Phoenix Project models ready to go in. As always, what you see here are images of work in progress assets and nothing should be considered final at this stage. You can follow development and see what is currently being worked on via our development roadmap. While we have shown the above image previously, it serves as a good example of the overall look and feel for the Phoenix Project. Not as heavily armoured as their New Jericho counterparts, they still have fairly substantial equipment. This also shows the default orange motif of the Phoenix Project faction. Next up we have the Phoenix Project Heavy. Unlike the NJ Elite Heavy class, the PP counterpart isn't quite as heavily armoured - a trade-off which gives them higher mobility. You will notice that there are multiple variations on helmets, shoulders, arms and boots in this image. 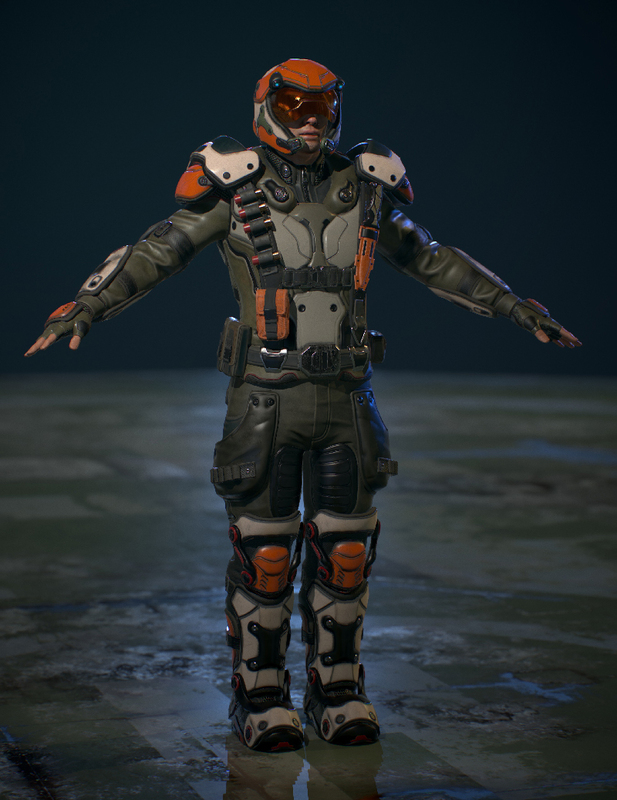 The armour in Phoenix Point is modular and can be mixed and matched, as well as customised. We're already working on multiple different variations for each armour set. Some will be used for different tiers of tech, others will just be cosmetic differences. Next is the Sniper class. One of the most lightly armoured classes on the battlefield, but also one of the most agile. The Sniper can be seen here with a selection of different head-gear. In a previous update we gave you a sneak peek at the Chitin armour, although untextured. The textures have now been added and this suit is nearing completion. This will form part of the Alien Chitin Armour and Living Weapons DLC (which is included with the Luxury Digital Edition and above, and will be available to purchase after launch for anyone else), and will have its own storyline and missions to acquire. It's bonus time! Even though most of the current character work is going into the Phoenix Project faction and the enemy units, work is also underway on the other factions. Here's a small preview of the Synedrion Infiltrator. That's all we have for this update. Next time, we'll be taking a closer look at the weapon design in Phoenix Point.